Welcome! 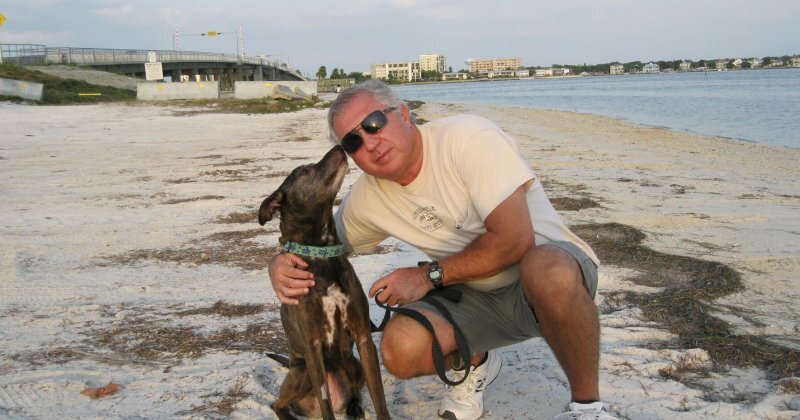 My Name is Vito Margaritondo and since 2004 I have been your Master Trainer and Dog Behaviorist for the St. Petersburg/Clearwater areas. I have successfully trained thousands of dogs throughout this area, and I would like to have the privilege of training yours. How do I know I can train your dog to be well behaved? I can train any dog, any age, any breed. This may seem like it is a bold claim but it is true. Bark Busters has trained more than 1M dogs worldwide with a variety of breeds. Puppies, senior dogs, adult dogs, rescue dogs and pure breeds … we can handle it all. I train dog owners, not dogs. Your dog is NOT a bad dog. Dogs learn to communicate with each other as a member of the pack when they are born. Then you bring them home and start speaking English – they have no idea what you are saying! I will teach you how to communicate with your dog in a language he understands that establishes yourself as the Pack Leader”. “Very impressed with Vito. He uses positive methods and solutions for our dog’s aggressiveness. He is alpha over our four dogs, but after our first visit, we are pleased to say he is no longer alpha and we can keep our dogs together.” Fritz B. You will see immediate results. Chances are you have been frustrated by your dog’s behavior for a while, which is what brought you to my website. After the first lesson, you will see an amazing change in your dog’s behavior and a much happier relationship. “Vito was amazing. With our first lesson over, Lily has ceased barking at the squirrels. Wish I had done this years ago.” Rhonda C.
I am often called in when other training methods have failed. Not only are we vet recommended, but other trainers send us their toughest cases to tackle challenging issues such as aggression. My clients often say “I wish I had called you sooner.” Don’t wait – call me TODAY! The training techniques and tools are the best . Our dog had aggressive behavior. And to walk him was a chore and most times a pulling and dragging . Vito has helped us turn Henry into a joy to walk and find out what was causing his aggression . Henry is a happy, calmer dog. Thank you for all techniques and tools you provided us with .